Body in Balance began humbly in 2005 as a small business bringing physical therapy services (Lic #40QA00915700) into our patients’ homes. Today, our private, Atlantic County outpatient clinic has grown into Body in Balance Physical Therapy & Fitness Center. We’re located at the corner of Central Ave. and New Rd. (Rte. 9) in Linwood, NJ. Body in Balance offers a complete rehabilitation experience with physical therapy, occupational therapy, and speech therapy! Specializing in Geriatrics, Orthopedics, Graston Technique, Schroth Scoliosis, Lymphedema Management, Parkinson's disease, and all neurological conditions. We are a Medicare Provider and accept most insurance plans. Body in Balance also offers a beautiful, non-intimidating Fitness Center designed with you in mind. We have made the process of exercising quick, easy, and beneficial without overcrowding, long waits, overly loud music, or messy gym floors. Our machines are state of the art from Biodex, SciFit, Keiser, and Cybex. Personal Trainers are on staff to assist you. All of our equipment is safe and easy to use. We pride ourselves on our personal service, fantastic classes, and spotlessly clean environment. It will keep you wanting to work out with us! 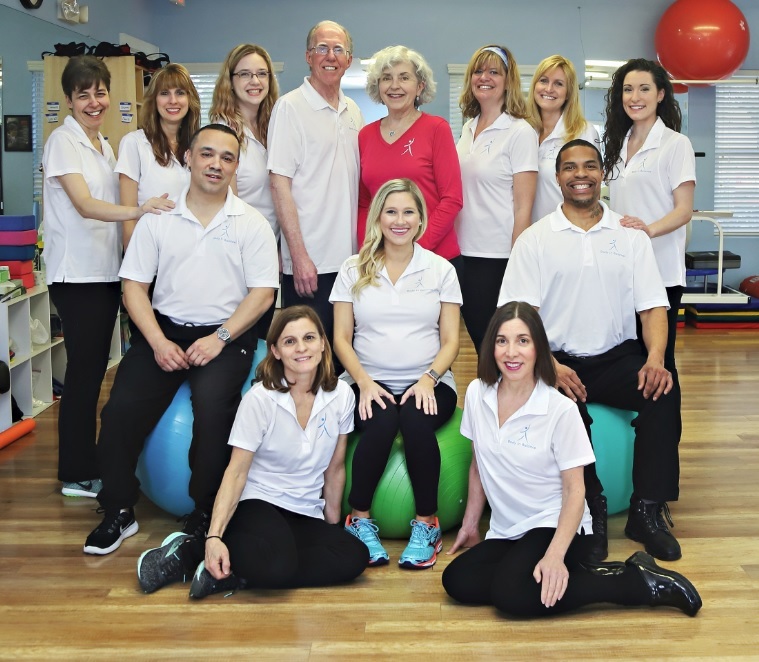 Body in Balance Physical Therapy and Fitness Center specializes in the aging population. We offer weekly support groups and movement classes for people with PD.